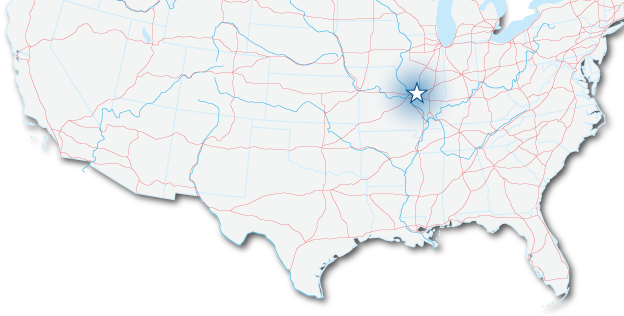 Highland is located in Madison County Illinois, just thirty minutes east of St. Louis. A Swiss settlement founded in 1831 on what was then known as the Looking Glass Prairie; Highland soon became the center for the surrounding agricultural area. As the region grew, other businesses were established in Highland by both Swiss and German immigrants bringing with them strong work ethics and a desire to succeed. Platted in 1836, the first town map was created in 1837. The citizens of Highland actively pursued attracting a railroad to town and even agreed to build a portion of the National Road to get it to come through Highland. Highland continues today to be a strong vibrant community, in excellent financial shape with very little bond debt and has recently been rated an “Aa3” by Moody’s. Highland is rapidly changing from a rural community to a suburban community. Impacted by regional influence and change, the citizens desire to maintain the small hometown feelings and quality of life issues. With strong competition for economic growth in the region and the rapidly expanding greater St. Louis region, Highland recently chose to be on the cutting edge by creating its own fiber network. “The City of Highland, IL has always taken a proactive approach to community development. The City’s two most recent actions include the establishment of the Grow Highland web site and the Fiber To The Premises project. It is clear that the City of Highland, IL is making a concerted effort to help existing business, as well as to encourage new business and industry to locate in Highland.” – Rob Bowman, President and CEO – Terra Properties, Inc.
As Public Servants, our mission is to serve the community for the good of the community. To create the “area’s best community” whereby a safe, small town atmosphere is preserved and quality of life is sustained by a financially sound and efficient government for all the people.